The Moxahala Amusement Park was owned and operated by the Nolan family from the 1940's until 1978, when the park closed, in its heyday, the park had 22 rides, a scating rink and a bingo hall. Moxahala or Moxie Speedway as it was known was part of the Amusement Park and opened in 1948, The track was a 1/3 mile dirt oval circuit that ran through until 1956 in this form. 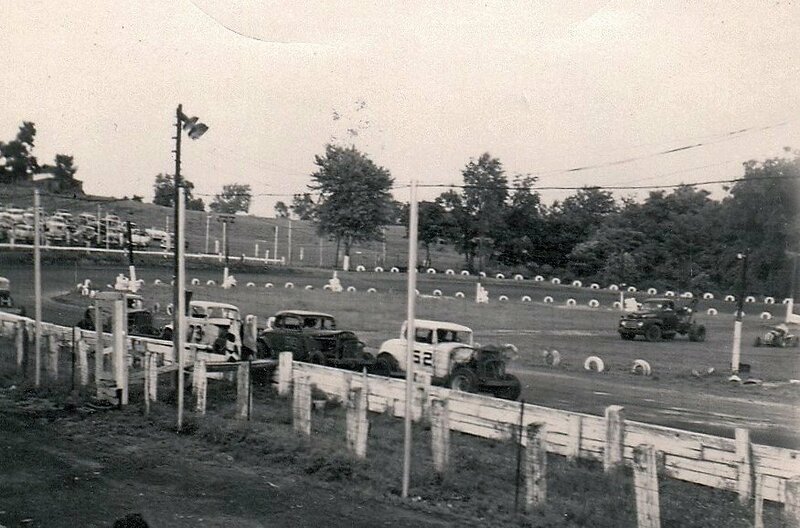 In 1957 the tracks surface was paved with ashphalt, racing continued through until the early 1960's when it closed. The track was owned by Tim Nolan and promoted by Dave Roberts. The track did reopen again briefly in 1981 1982 but once again closed. 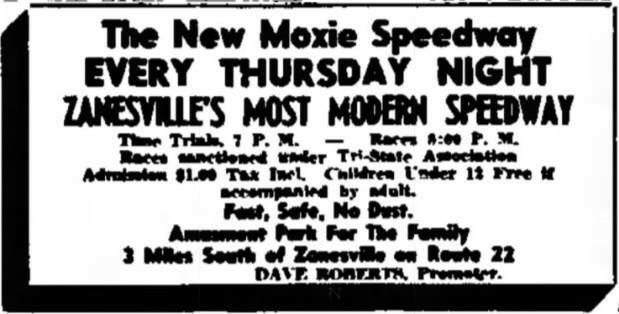 1954 - An aerial view of the popular 1/4 mile macadam Moxahala Park track, Known as "Moxie" to Zanesville stock car fans who gathered there twice weekly to see events under the promotion of promoter Dave Roberts and owner Tim Nolan.